The main role of a fire detection and alarm system is to alert the building’s occupants of a developing fire emergency in a timely manner. This is achieved by identifying a developing fire through either manual or automatic methods and followed by alerting the building’s occupants to the fire and the need to evacuate. In addition to these, other functions include notification to the fire department and shutting down electrics, air handling equipment or special process operations. Fire detection and alarm systems usually consist of three parts: control panels, detectors and alarm devices. The control panel is the brain of the fire detection and alarm system. It is responsible for monitoring the various alarm input devices such as manual and automatic detection components, and then activating alarm output devices such as horns, bells, warning lights, emergency telephone diallers, evacuation/alert messages and building controls. Control panels may range from simple units with a single input and output zone, to complex computer driven systems that monitor several buildings over an entire campus. There are two types of control panels: conventional and addressable. When present, humans can be excellent fire detectors. A healthy person is able to sense multiple aspects of a fire including the heat, flames, smoke and odours. 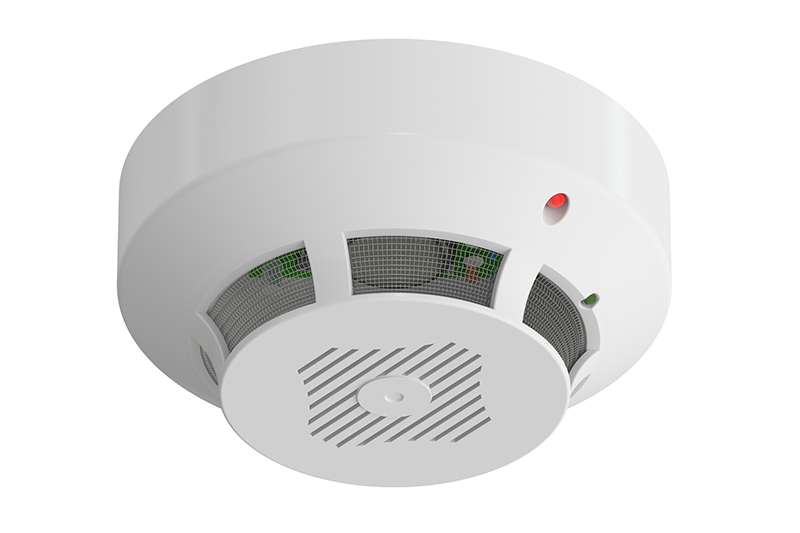 For this reason, most fire alarm systems are designed with one or more manual alarm activation devices, manual call points or manual pull stations. Unfortunately, a person can also be an unreliable detection method since they may not be present when a fire starts. It is for this reason that a variety of automatic fire detectors have been developed. Upon receiving an alarm notification, the fire alarm control panel must now tell someone that an emergency is underway. This is the primary function of the alarm output aspect of a system. There are two types of notification, one is audio and the other is visual, in some cases we also use a combined unit. Bells, sounders, horns and speakers are part of audio notification - strobes, flashing lights and beacons are part of visual notification. Speakers are generally used to transmit a pre-recorded voice message to alert the occupants.